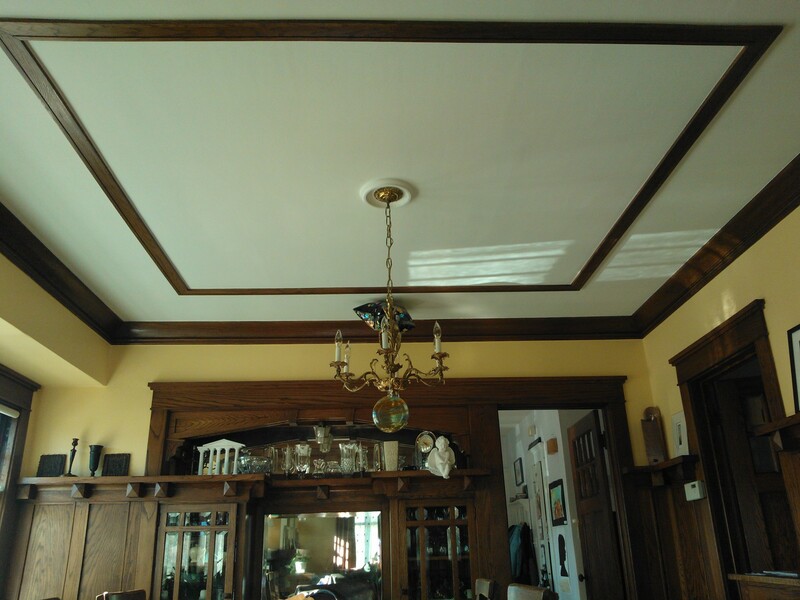 "Greg Luettgen of East Shore Painting is a master of the painting and staining profession. We absolutely needed the best when finishing our new two story addition which was faithfully designed to match the existing 1935 Tudor. The addition included varied ceilings, intricate wood casings, crown molding, and all aspects of maximum old world charm. Greg is an artist when consulting on paint colors, shading and contrasts, as well as, stain matching, antiquing, etc. His consultation included meetings with us, the interior decorator, and the architectural designer. Greg's application of the paints and stains was precise. The different paint colors, sheens and shadings brought life to our rooms. The staining carried the old world feel into the addition rooms. He ensured all our furniture, floorings, etc. were protected. Perhaps above all, Greg was very easy to work with, blending his professional approach with family-like friendliness. With all his talents, he drove an award winning end result beyond our expectations."